Policies are critical to the organization as they establish boundaries of behavior for individuals, processes, relationships, and transactions. With today’s complex business operations, global expansion, and the ever changing legal, regulatory, and compliance environments, a well-defined policy management program is vital to enable an organization to effectively develop and maintain the wide gamut of policies it needs to govern with integrity. The haphazard department and document centric approaches for policy management of the past compound the problem and do not solve it. It is time for organizations to step back and define and approach policy management with a strategy and architecture to manage the ecosystem of policies programs throughout the organization with real-time information about policy conformance and how it impacts the organization. 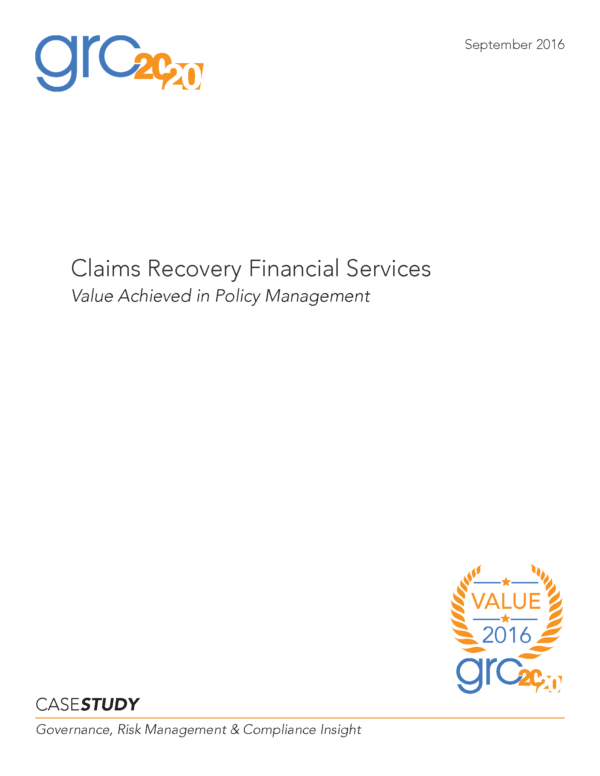 Claims Recovery Financial Services (CRFS) faced increasing challenges to manage regulatory compliance requirements and to ensure that policies were aligned with regulations and individuals were aware of policies. Particularly, they needed to prove compliance to policies not only to the regulators, but also to their customers who were also under the watch of regulators. CRFS also needed to prove they had a robust Compliance Management System that included policy management as mandated by the Consumer Financial Protection Board. CRFS purchased Keylight to manage policies and compliance mandates. GRC 20/20 has evaluated and verified the implementation of the LockPath Keylight Platform at CRFS and confirms that this implementation has achieved measurable value across the elements of GRC efficiency, effectiveness, and agility. In this context, GRC 20/20 has recognized the Keylight Platform and CRFS with a 2016 GRC Value Award in the domain of Policy Management. Have a question about LockPath or policy management? 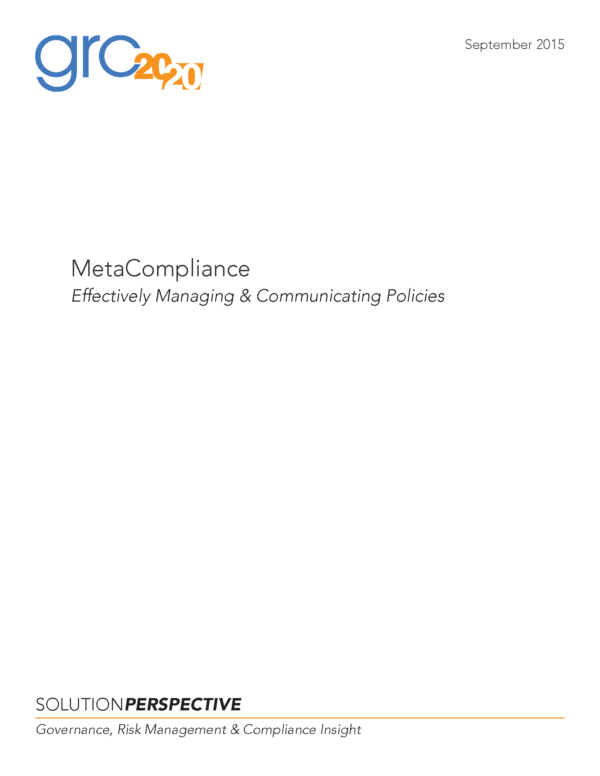 [tabs style=”default”] [tab title=”Executive Summary”] Policies are critical to the organization as they establish boundaries of behavior for individuals, processes, relationships, and transactions. 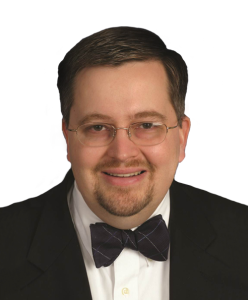 With today’s complex business operations, global expansion, and the ever changing legal, regulatory, and compliance environments, a well-defined policy management program is vital to enable an organization to effectively develop and maintain the wide gamut of policies it needs to govern with integrity. The haphazard department and document centric approaches for policy management of the past compound the problem and do not solve it. It is time for organizations to step back and define and approach policy management with a strategy and architecture to manage the ecosystem of policies programs throughout the organization with real-time information about policy conformance and how it impacts the organization. Claims Recovery Financial Services (CRFS) faced increasing challenges to manage regulatory compliance requirements and to ensure that policies were aligned with regulations and individuals were aware of policies. Particularly, they needed to prove compliance to policies not only to the regulators, but also to their customers who were also under the watch of regulators. CRFS also needed to prove they had a robust Compliance Management System that included policy management as mandated by the Consumer Financial Protection Board. CRFS purchased Keylight to manage policies and compliance mandates. GRC 20/20 has evaluated and verified the implementation of the LockPath Keylight Platform at CRFS and confirms that this implementation has achieved measurable value across the elements of GRC efficiency, effectiveness, and agility. In this context, GRC 20/20 has recognized the Keylight Platform and CRFS with a 2016 GRC Value Award in the domain of Policy Management.